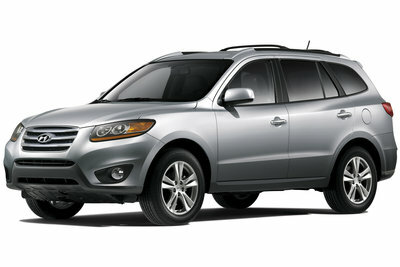 The Santa Fe is a competent and efficient SUV from Hyundai. Loosely based on the Sonata, the Santa Fe has car-like driving manners with the ride height and capabilities of a mid-sized SUV. The interior is tastefully styled with ample accommodations for 5 passengers (seven passenger seating is no longer offered) and a generous amount of cargo. The Santa Fe is offered in front-wheel-drive and all-wheel-drive with a choice of either a four-cylinder or a V6 engine. Three available trim levels range from the well-equipped base GLS model to the Limited model with leather-trimmed interior.